They don't even admit half of their applicants. The admissions staff read applications from the same high school as a group. This gives them a better picture of the student as he or she fits within their high school applicant pool. This is why a high school sends a school profile to a college; it provides details that help admissions staff understand the school and how a student fits into that picture. Wondering why those recommendation letters are so important? GW readers pull keywords from recommendations to help present a student during committee meetings. This means that they do an analysis of the financial need of applicants before issuing financial aid packages. Helpful infographic walking you through the application review process. Every admissions office handles this part of their process differently. When I was an admissions counselor at a small liberal arts college, we did not have committee meetings like GW. Decisions were mostly at the hands of admissions counselors, except in cases of denied and conditionally admitted applicants. Those applicants were typically taken through a second read, then a final committee consisting of our directors and the dean. If you want a deeper dive into the process, I suggest the book The Gatekeepers by Jacques Steinberg. Ralph Figueroa, the admissions counselor profiled in the book, is now a director of college counseling and a Naviance client. It was agony to make the decision to deny my first student. I knew that the student would not do well academically at the university, but it was still a hard choice to make. As I read more applications and became more familiar with the profiles of my territories (I handled DC, MD, VA, NE, IA, north central LA, all Catholic schools in Orleans and St. Bernard Parishes, and all Orleans Parish public schools), it became easier to make decisions that didn't make me feel like I was crushing dreams. Our dean wanted us to make choices that would help a student, not place them into remediation before they even got started. That's a hard discussion to have with an emotionally charged 17- or 18-year-old. I remember one student calling and telling me that she hoped I would burn in hell for denying her admission. I've come to terms with that. What I remember most about my applicants are their essays - I can still recall several that made me laugh and a few that made me cry. I also remember the thank you notes from displaced students during Hurricane Katrina - they enjoyed meeting me in DC or Nebraska or wherever they were, because it was like a little bit of home when they were far from it. 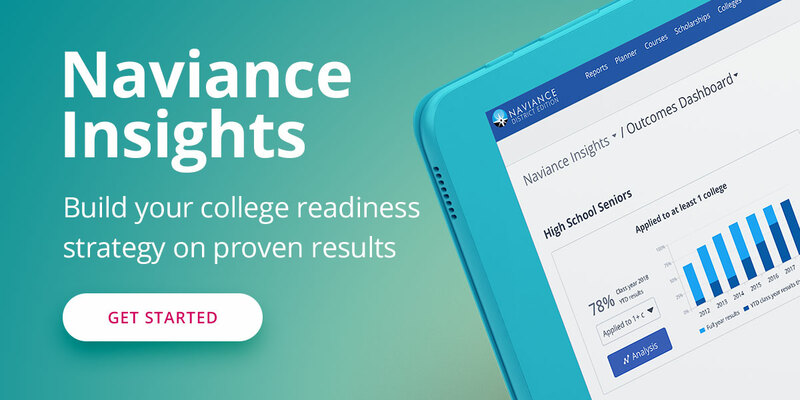 As we look to the future and the launch of Naviance eDocs 6 this summer, I think it's important to understand how the information our counselors and teachers send to colleges on behalf of students is being reviewed and used. So often, our clients look to us for guidance about this; they don't know what happens after they click send. It always surprises me when counselors ask me questions about the admissions process. I often wonder why they don't talk to the admissions staff they work with during the year. I know that it has to do with the partnership that we've formed with our clients and the expertise we offer every day. Decision Day is fast approaching - May 1 is the National Decision Day. This is the day by which students have to decide whether to accept or deny a letter of admission to a college or university. Many high schools have made this day a celebration on campus, akin to signing day for recruited athletes. The video below is from Yes Prep (a Naviance client who won the inaugural Broad Foundation Prize for Excellence in Public Charter Schools) from their Decision Day in 2010. I love this video and look forward to seeing more of these this year.